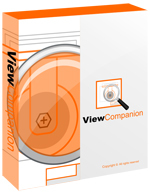 ViewCompanion can view, annotate and convert PDF and other formats. Open other formats including PLT, DWF, Gerber and CGM. Convert your files to TIFF, CALS, JPEG, DWF, PLT, PDF/A and several other formats. Print to all plotter or printer devices supported by Windows. Batch print and batch convert. Use the command line interface for conversion and printing. Add markup elements like text, stamp, symbol, barcode, polygon, note, picture and others. 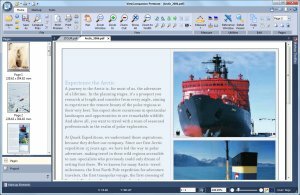 Split multipage PDF files into multiple PDF files with one or more pages. Combine files of different formats into a single multipage PDF file. Do precise measurements. Use the annotation tools to add dimension lines and area measurements. 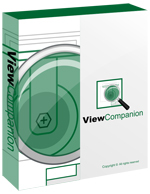 Both ViewCompanion Pro and Premium can view and convert PDF files. With Premium you may use the PDF to CAD tool to convert a PDF file to an editable DXF that can be used in any CAD editor. An option to batch convert PDF files to CAD is included. Premium provides additional tools to compare, digitally sign and encrypt (using a password) PDF files. 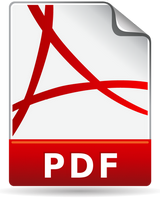 Do you want to add viewing and conversion of PDF to your own application? ScConverter may be what you're looking for if you want to convert your files. scConverter can convert PDF, DWF, PLT, CGM, CALS, TIFF, Gerber and other formats, into many different output formats including TIFF, PNG, PDF, JPG and DWF. With ScViewerX you may view, annotate and convert PDF and many other formats.